Russia supports the creation of a UN workgroup for studying the effect of the Western sanctions of Syrian economy as currently the restrictions hurt mostly common people, a Russian envoy to the UN has said. “Common Syrian people are the main victim of the one-sided western restrictions. This is why we completely support the initiative of UN’s Special Rapporteur Idriss Jazairy, to set up a workgroup that would discuss the consequences of the unilateral coercive measures on implementation of the human rights,” Russian representative in the United Nations’ Geneva Office, Gennady Gatilov, said in comments with RIA Novosti. 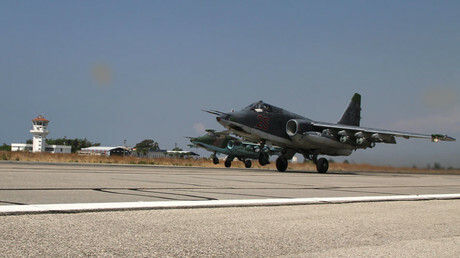 “Such a step would significantly improve the humanitarian situation in the region,” the Russian diplomat added. Gatilov explained that the sanctions imposed by the United States and the European Union had aggravated the already disastrous economic and humanitarian situation in the Syrian Arab Republic. In particular, these restrictions had made any money transfer to this country practically impossible, and without such transfers it is difficult for humanitarian groups to purchase the necessary goods, and even to pay salaries to their staff. In addition, the sanctions have led to increase in prices for food because of more expensive fuel and a general decline in agriculture, as well as an acute crisis in medical supplies – all pharmaceutical enterprises that had not been destroyed in the war have had to shut down because they cannot get raw materials. “The Western states are not even trying to conceal the fact that the sanctions are pursuing the single objective – to unseat the lawful government that does not suit their plans. If we look how these actions correspond with the international law we can make an upsetting conclusion that some nations are ready to use any mean and disregard any legal norm to achieve their momentary political goals,” the Russian diplomat told journalists. The envoy also emphasized that lifting of the unilateral coercive measures would change the economic situation in Syria for the better and allow millions of refugees to start actively restoring their country. This is not the first time Russia has claimed that the actions of Western allies in Syria had aggravated the humanitarian situation in this country. In January, the Russian Foreign Ministry issued a statement that accused the US of blocking UN humanitarian convoys from Syrian refugee camps with tens of thousands of residents. 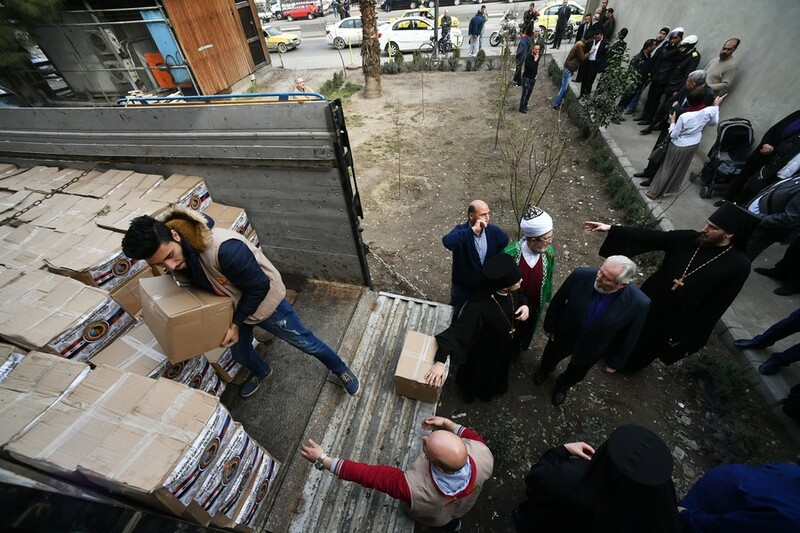 “We demand the lifting of all restrictions on the access of convoys with food and medicines, increasing the transparency of humanitarian actions,” the ministry said. It also pointed out the US military “bears full responsibility” for the situation. In late 2017, Russia's Permanent Representative to the United Nations, Vasily Nebenzya, told the UN Security Council that his country had delivered more than 650 tons of food aid to over 110 countries in the past 10 years. The main recipients of Russian aid were Tajikistan, Kyrgyzstan, North Korea, Syria, Palestinian Autonomy, Namibia, Kenya, Iraq and Jordan, he said. 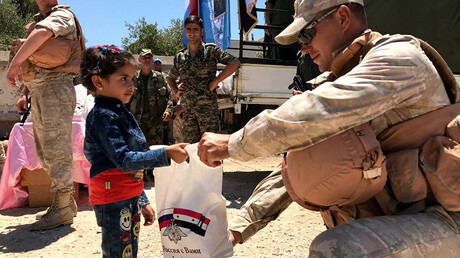 A public-opinion poll conducted in Russia in late 2017 revealed that 73 percent of the country’s citizens consider it necessary to continue helping Syria after the end of the current conflict. An even larger proportion of respondents – 75 percent – said that they would like to see Russia continue sending humanitarian aid to Syria.